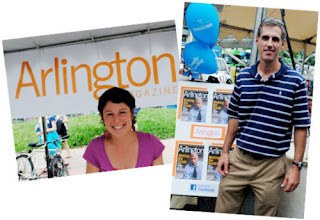 This past Saturday was Clarendon Day and I was lucky enough to get asked to do a guest post regarding the festival on Clarendon Culture's blog. If you don't already read Clarendon Culture, you should! The woman behind the blog is brilliant and talented and knows everything there is to know about Clarendon life. She was the first person to recognize Steak and I on the street after we started our blog and will therefore always hold a special place in my heart. Thanks for this opportunity, Clarendon Culture! Now go check out my post.